New FIFA president Gianni Infantino. Photo: AAP Image. FINALLY it seems FIFA is cleaning up its act. Just two weeks after Gianni Infantino replaced the disgraced Sepp Blatter as its president, the world football body appears to have realised that for many years a number of its officials worldwide have been corrupt and basically biting the hand that fed them. For years, overseen by Blatter, there has been a culture of entitlement. 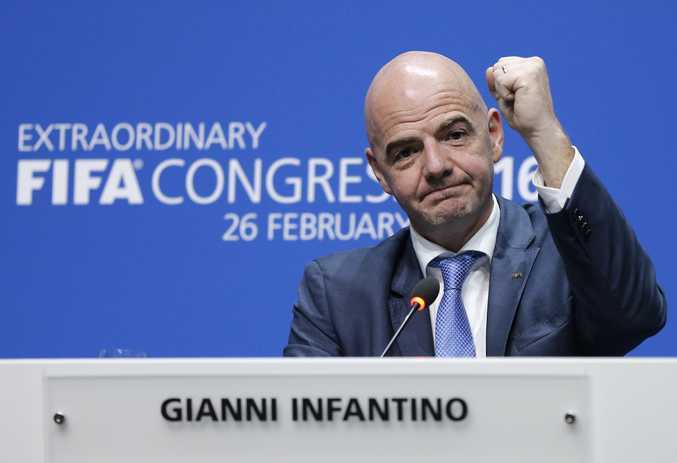 Those at the top level of FIFA around the world have been lining their own pockets to the detriment of the world game and at last, with Infantino at the helm, something is finally being done about it. Of course, that does not mean those confederations that missed out on being able to give footballers a helping hand will get that cash back, but we can hope. After lodging a request with US authorities for 10s of millions of dollars in damages from ex-FIFA officials indicted there for graft, Infantino said: "These dollars were meant to build football fields, not mansions and pools; to buy football kits, not jewellery and cars; and to fund youth player and coach development, not to underwrite lavish lifestyles for football and sports marketing executives." Thankfully, it seems those who have perpetrated these crimes against the beautiful game are finally being brought to justice. Some, such as Blatter, former FIFA vice-presidents Michel Platini and Jeffrey Webb and former executive committee member Jack Warner appear to be going down kicking and screaming. Others such as Chuck Blazer, who has pleaded guilty to racketeering, wire fraud and money laundering, and along with other individuals engineered a $10 million payoff in exchange for executive committee votes, have at least admitted wrongdoing. Information lodged with the request acknowledged the widespread bribing of top brass and accused officials of "brazen corruption". Not surprisingly, FIFA said it wanted the money back. "By corrupting these tournaments, matches, sponsorships, and other football affairs through their backroom deals and secret payoffs, the defendants dragged FIFA into their sordid misconduct and tarnished the FIFA brand," it said. While I applaud FIFA for this long-overdue action, I believe there is a lot more to come out as the digging continues. The report said Warner, fighting extradition from Trinidad and Tobago, had accepted a bribe to vote for Morocco in the 1998 World Cup hosting race, won by France. "It is now apparent that multiple members of FIFA's executive committee abused their positions and sold their votes on multiple occasions," FIFA said, acknowledging for the first time that World Cups had been sold to the highest bidder. Whatever happens next, the fight to keep FIFA clean has to continue for the sake of the game. Who will make up top six in the A-League? 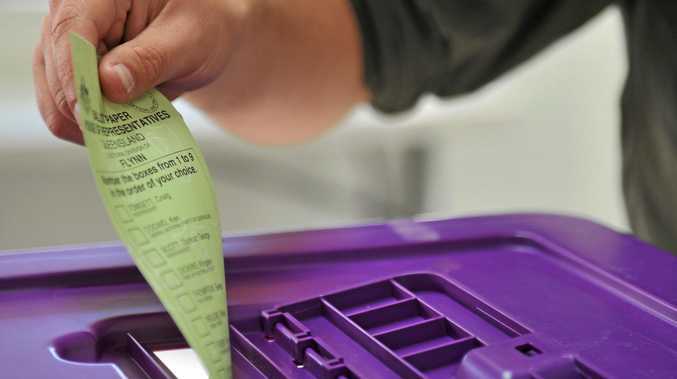 Politics A NEW candidate has entered the race for Hinkler, it was revealed at today's ballot order draw.